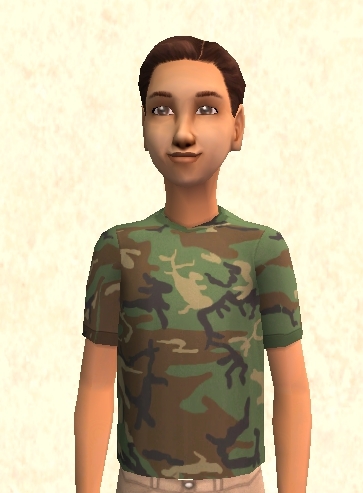 This is the camouflage outfit for boys from the base game made into a separate top. 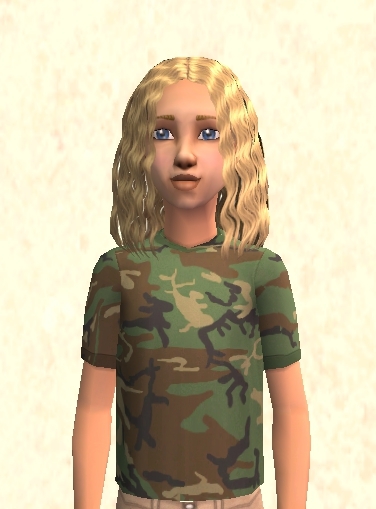 Since boy's and girl's outfits can use the same mesh, I've made these unisex as well. For children only. Poly count is 1,907. There is a fat morph included. Enjoy! Feel free to use them however you want, please don't steal them. That is all. Good idea, thank you for this Jon.